Ray: Are these realizations any different for the generation in midlife today than for previous ones? I think every soul longs to get it right before they die. It’s a craving of the soul to feel that on some level you at least tried to do what you came here to do, because the soul has that sense of what it came here to do. As it says in the Jewish book of prayer, nobody wants to die feeling that they have not sung their song. Marianne: I don’t think that anyone can age in a conscious way and not experience grief. You’re not to wallow, but if you don’t process your regrets, then they remain emotional underground toxins. If you did something in 1975 that you deeply regret and that you now can recognize as having been profoundly irresponsible, for example, the only way to be lifted out of deep regret and the pain over it is through atonement — through the kind of remorse that leads to genuine atonement, the making of amends, and forgiveness of self and others. What we really need to avoid is this epidemic of false positivism and false happiness, which says if it hurts, it must be bad. Sometimes it hurts because you have a conscious. You have healthy shame. It’s like laboring a child: It’s not easy. Laboring the new self, which is this gigantic force whereby you ultimately claim your real possibility for this lifetime — no, it’s never easy. But the alternative is far more difficult, because it’s just a very slow cruise to death. Please leave comments with your thoughts, and if you like the posts please share them with your community by posting links on your own social media channels. 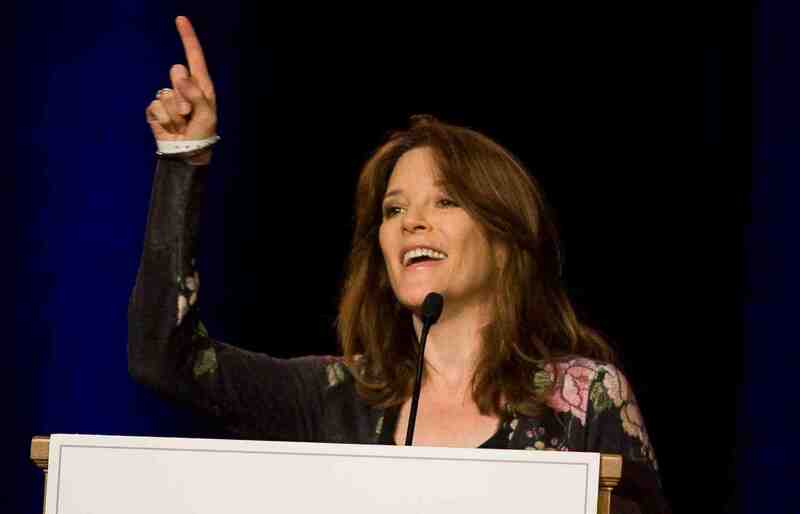 You can visit Marianne Williamson’s website at www.marianne.com and follow her on Facebook at https://www.facebook.com/williamsonmarianne. Thank you very much for visiting and for your interest. I truly appreciate it. June 5, 2010 in Interview.